Many of us dream of having a slim body, but after numerous attempts to lose the unwanted pounds, we end up failing. If you’re one of the unlucky ones who cannot achieve your desired weight, it’s likely that you are doing something wrong. Did you know that lack of sleep can increase your daily intake by up to 385 calories? Or that your perfectionism can be holding you back from losing weight? Read on as these facts and more are explained. Bright Side has collected a list of 13 things that can get in your way when trying to lose weight. Be sure to read and take notes! 1. You think going on a diet will help you lose weight. Oops! We know it sounds weird and disappointing, but it’s true. Diets are basically temporary measures you take to lose some unwanted pounds — and “temporary” is the key word here. Experts claim that an abrupt cutdown in calorie intake slows down your metabolism and your body thinks you’re starving. Moreover, the pounds you lose during a diet will likely return in 1-5 years. What you should do is change your lifestyle. 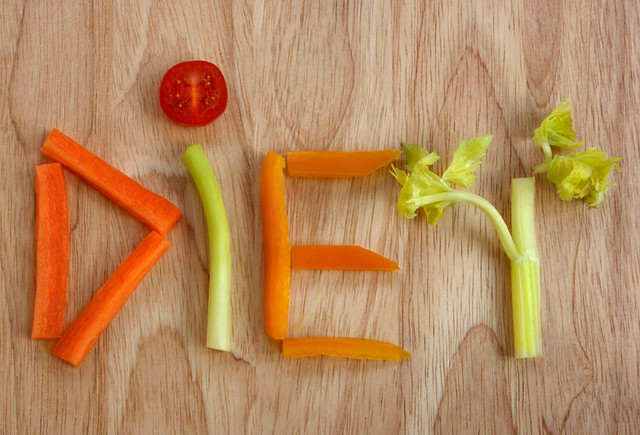 Don’t think of it as a diet — you’re going to make changes you’ll live with for the rest of your life. WebMD offers several simple steps that will help you on your journey to a more healthy self: don’t skip breakfasts, move more, and choose the right restaurants. You don’t even have to make all the changes at once — give yourself some time to get used to one of them, and then keep going! 2. You’re into dressings and sauces. It might sound obvious, but dressings and sauces also have calories. We’re not talking about mayonnaise and olive oil here. Even a healthy topping like hummus contains about 177 calories/100 g (3.5 oz). You may not realize it, but dipping veggies into a sauce — even a healthy one — may ruin your diet. Luckily there’s a simple way out: add those calories to your nutrition diary. This means that when you make a sauce or dressing, be sure to calculate its calories into your allotted intake and write them down. Easy! 3. You divide foods into “allowed” and “prohibited” categories. It’s obvious that if you want to lose weight, you try to eat healthily. But we all still have cravings, and almost everyone who’s ever been on a diet knows the irresistible temptation of having that extra piece of chocolate and the feeling of guilt you get when you give in. “Having one ice cream cone isn’t going to make you gain weight, and it certainly doesn’t mean that you’ve failed or that you’re a bad person,” says nutrition expert, Abby Langer. If you punish yourself every time you eat something “wrong,” you risk starting to eat in response to your failure and gaining all the weight back. Don’t completely exclude those burgers and pieces of cake from your diet. If you want one, eat it. Just remember to do it all in moderation. 4. You’re afraid of getting hungry. Most of us consider hunger to be our enemy, but it’s actually the healthiest thing in the world. No, we’re not talking about that hunger you’d have if you didn’t have access to food for weeks — we’re talking about the feeling you have (or at least should have) when your body takes all the calories you’ve eaten for its own purposes and asks you for some more. According to holistic nutrition consultant, Mary Vance, letting yourself get hungry has numerous health benefits: it boosts the growth hormone, which stimulates cell renewal, improves digestion and promotes blood sugar regulation. When you’re hungry, your body produces ghrelin, a hormone that works its magic only until you quench hunger. It stimulates learning a memory and can even help you fight depression. To top it off, hunger can make the pleasure you get from eating food even higher. So high, even a bowl of soup will be as enjoyable as a juicy burger. 5. You stick to juices and smoothies. We all know that smoothies and fresh juices are healthy, especially if you make them at home on your own. But if you’re trying to lose weight, they can mess up all of your plans. Studies show that liquid products bring less satiety than solid food. This means an orange will satisfy your hunger for a longer time than a glass of juice will. Moreover, it won’t provide you with the fiber you need, as most of it stays put on your glass in the form of pulp and peel. As for smoothies, one glass of a healthy smoothie contains anywhere from 150 to 300 calories. Considering the fact that you’ll be hungry in half an hour, this type of drink may be too much for a regular snack. Yet again, if you want it, just make sure you include these calories in your diary. 6. You underestimate the power of sleep. “Sleep can help you eat healthier,” claims The American Journal of Clinical Nutrition. A good night’s rest contributes to cutting down on fats, carbs, and free sugars, which is important to your weight loss journey. Lack of sleep, on the contrary, makes you eat more and you may end up adding 385 calories to your daily intake. Lack of sleep literally forces you to reach for food even if you’re full and increases your blood sugar and fat storage. So if you want to shed those pounds, you’d better regularly take an 8-hour-long journey to dreamland. 7. You swallow food in a flash. We know that sometimes you just can’t find time to savor your meal, but it turns out you have to if you want to lose weight. It takes your body 20 minutes to understand you’re full; if you eat too fast, you swallow more calories than you need before you realize it’s time to stop. Speed eating also increases the risk of acid reflux and type 2 diabetes. Moreover, when you eat in a hurry, you don’t get the right amount of pleasure from your meal. Remember our tip about hunger? When combined with slow eating, it’s one of the best experiences in the world. To cope with having to eat fast, experts recommend taking small bites, chewing your food thoroughly (mash it! ), and practicing mindful eating. It means fully concentrating on your food, savoring the smell, taste, and even texture. 8. You go grocery shopping hungry. Yeah, we’ve told you hunger is good for you, and it is; yet food cravings rule this out. Some research shows that people who go grocery shopping hungry, especially without a list, buy more high-calorie foods and less low-calorie products. When you’re hungry, your body needs energy, so it pushes you to food rich in calories. You’re also likely to buy snacks because you can eat a chocolate bar right away, but you’d need time to cook that healthy chicken fillet. By the way, hunger influences more than just your food choices. This study shows that hungry shoppers also tend to buy more non-food products. So, just have a meal or a healthy snack before you go to a grocery store and don’t forget your shopping list — it can save both your body and wallet. 9. You think having dessert is forbidden. To those who have a sweet tooth, rejoice! Desserts won’t hurt your weight loss plan — in fact, they can help you achieve your goals. Of course, moderation is the key here. You can devote 20% of your daily calorie intake to please your sweet tooth, and your weight will continue to disappear. The point is when you stick to a nothing-allowed diet, you’re actually more prone to overeating. Don’t think of sweets as of something “bad” and “forbidden.” If you know a piece of cake is available whenever you want, you can stop when you’re full. 10. You think fats are the enemy. Fats aren’t as bad as you may think. Roughly speaking, there are three types of fats: unsaturated (olive oil, nuts, seeds, fish, avocados), saturated (animal products, coconut), and trans fats (margarine, snacks, fried fast food). The type of fats you should give the green light to are unsaturated fats. They remove bad cholesterol from your body, ensure you feel full for longer, provide your body with energy, and help you burn fat. By the way, fats actually make our food tastier. The tiny buds covering your tongue can taste the fat in what you eat — and yes, they love it! 11. You rely on exercise too much. Don’t get us wrong, exercise is healthy and awesome, but exercises alone won’t help you to lose much weight. Your body burns calories not only from physical activity; other daily activities (basal metabolic rate) and digestion also count. Actually, physical activity burns only 10 to 30% of energy (moving your foot to music also counts), and if you exercise more, you’ll walk less instead. You get it, right? Your diet is the main factor in your weight loss program, but exercise is still good for your health. Working out can help you to achieve those beautiful abs, stay toned, and feel happy (hey, serotonin! ), which is no less important. 12. You think you don’t need a food diary. Yes, writing down what you eat can help you — even without counting calories. It helps you build awareness of your portion sizes, food preferences and meal and snack timing. It can also show you the link between why you eat what you do, how much you eat, and help you to analyze all this to change your diet. If writing everything down is too boring for you, you can take pictures. It might work even better than a written diary because you’ll likely scroll down through your pics sometime later and see what you’ve been eating during a day, week, or month. Photos also make it easier to notice your food preferences or what lacks in your diet, because you literally see your food, not just letters in your notebook. 13. You strive for perfection. This is the last and most important thing you should remember to succeed in your weight loss journey: no one is perfect. If your weight disappears more slowly than you expected, don’t get depressed. If you ate some candy or broke your daily calorie limit, don’t blame yourself. Being too strict with yourself only encourages emotional eating, and it’s a rather vicious cycle. It’s absolutely ok if you’re not 100% perfect — you shouldn’t be. If you succeed 80-90% of the time (we basically have 21 meals a week, after all), you’re doing great! Do you already follow any of these tips? Maybe you have something to add or a personal story to share? Feel free to do it in the comments! Oh, and good luck getting rid of those extra pounds!